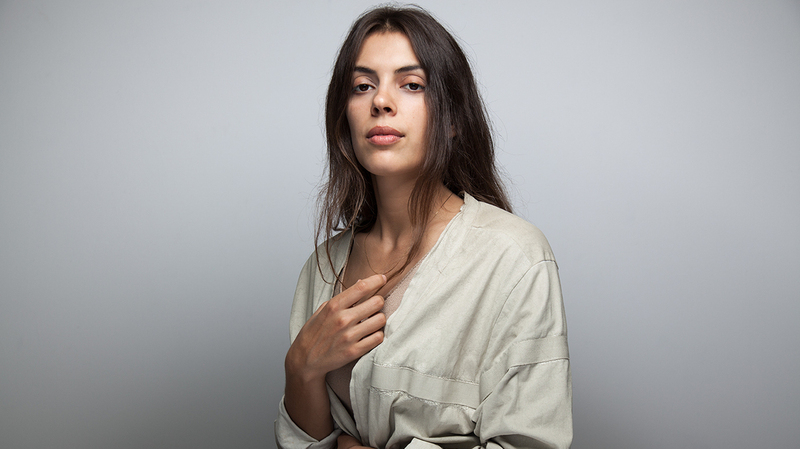 Embrace The Great Calm Of Julie Byrne's 'Natural Blue' With her softly echoing guitar and slight strings, Byrne channels some ancient wavelength, then suddenly sticks a pin in the universal. 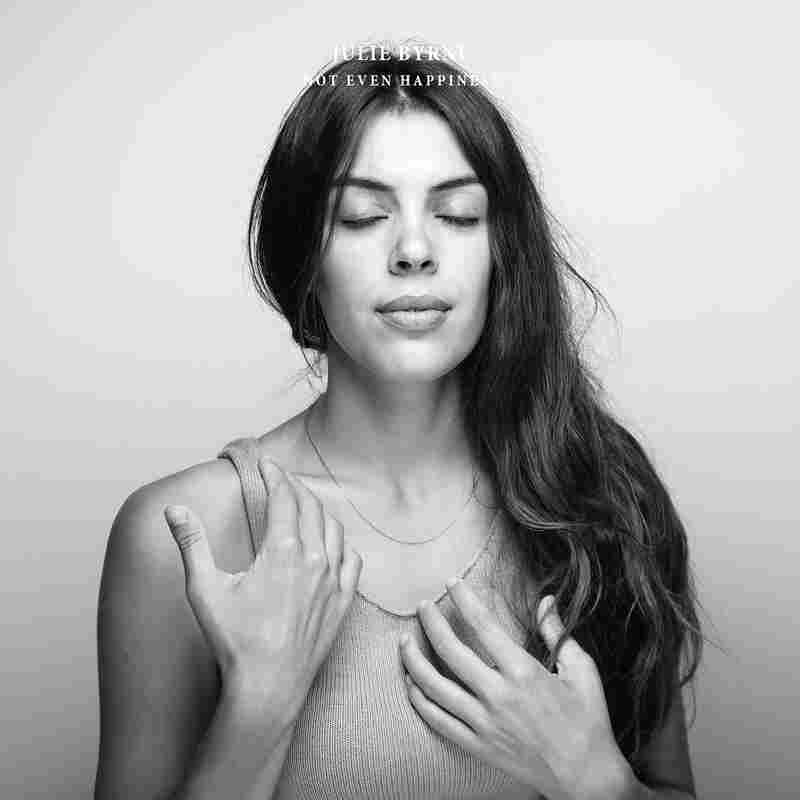 Julie Byrne's new album, Not Even Happiness, comes out Jan. 27, 2017. Julie Byrne's music was once the kind that suggested enclosed spaces, whether dusky lofts or deep-sea caverns. If you couldn't guess by the title, the New York-born songwriter's 2014 album Rooms With Walls And Windows (which compiled her self-titled cassette and You Would Love It Here) cataloged the domestic intimacies she experienced, first while residing in a Chicago show house, and later living alone in a small apartment with no cell phone or landline. But since then, she's abandoned all concept of home and dedicated herself to living on the road, letting her folk hush expand out in the wild. "Natural Blue," the first song from Byrne's forthcoming album Not Even Happiness, is full of scenes that any American touring band would recognize: "Sun split ember," she sings, her voice sharp and precise as that cracked wood. She stretches out: "Fields that span forever, forever." Her husky voice ebbs and swoops in one of those wordless melodies that seems like the singer is channeling some ancient wavelength, but suddenly she sticks a pin in the universal. "It's old news, but if you're asking," she sings with an anxious creak in her voice, "Been a long time since I've been moved / But when I first saw you / That feeling, it came over me, too." The song comes from a stay in Boulder, Colo., when Byrne was nearing the 40th day of a two-month tour in the spring of 2014, she tells NPR. "We were staying in a share house at the foothills of the southern range of the Rockies. There had been a series of storms and landslides in recent months. As we drove through the mountain community, we passed the fire station and all these homes that had been devastated by the impact of ancestral rock. The earth was still damp and Fourmile Creek was in flood. There was a party at the house that night that lasted 'til dawn. People drinking, and dancing and laughing, even crying. No one slept. When day broke the next morning, I walked out and looked upon the purity of the sky in Colorado. At that time in my life, I had given up home in service of something I longed for and there was a real freedom in knowing that no place waited for me. I lived where I stood at that moment and I traveled thousands of miles with that longing as my guide." Severing your roots for total freedom is an overwhelming notion, and one that could easily lend itself to epic flights of fancy. But "Natural Blue" runs on casual awe rather than pantheistic bombast. "Live in dreams, I remain forever / Inside the colors you've shown to me," Byrne croons, her softly echoing guitar and slight strings conveying the feeling of being overtaken by a great calm. In that sense, it's not so different from her earliest material. Out among the chicory and burnt grasses, you sense Byrne relishing the comforts of home. Not Even Happiness comes out Jan. 27, 2017 via Grapefruit/Ba Da Bing.